Home / Product Failures / The Johnson & Johnson Debate: Does Talcum Powder Cause Cancer? The Johnson & Johnson Debate: Does Talcum Powder Cause Cancer? Johnson & Johnson has been under fire lately over several lawsuits filed by women who claim their use of Johnson & Johnson products containing talcum powder – namely Baby Powder and Shower to Shower – resulted in ovarian cancer diagnoses. 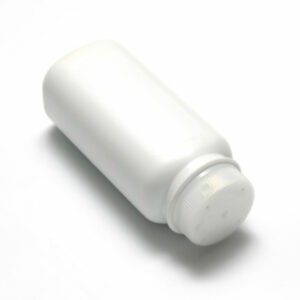 Talcum powder has been a common ingredient in numerous cosmetic products for decades. Its primary ingredient is talc, which is a mineral comprised mostly of magnesium, oxygen and silicon. Talc’s primary function in these products is to absorb moisture and keep skin dry. Many women have used it for feminine hygiene purposes for years. The studies surrounding the link between talcum powder and ovarian cancer are conflicting. In its natural form, talc contains asbestos (a set of six different minerals) that’s known to cause cancer when inhaled into the lungs; however, asbestos has been removed from all talc-based products since the 1970s. The main claim surrounding ovarian cancer lawsuits is that the particles from the powder can potentially travel from the genital area up into the ovaries and embed themselves in the tissue, eventually causing cancer. At Gilreath & Associates, we believe companies should be held responsible for harmful ingredients in their products. If you or someone you know has used talcum powder and also been diagnosed with ovarian cancer, please set up a free consultation with one of our experienced product liability lawyers today.